In a prophecy, Naropa told Marpa Lotsawa that in his Lineage the pupils would be greater than their teachers. The First Karmapa was Düsum Khyenpa and the Second Karmapa was Karma Pakshi, who had greater power and more miraculous abilities than the First. Basically, both the First and Second Karmapas were in essence the same, but it appeared as though Karma Pakshi was more magnificent. In the same way, the Third Karmapa, Glorious Rangjung Dorje, had even greater qualities of learning and miraculous abilities. There are seventeen Karmapas and among them Rangjung Dorje was the greatest scholar. In fact, two Karmapas showed immense learning, experience, and realization; they were Rangjung Dorje, the Third Gyalwa Karmapa, and Mikyö Dorje, the Eighth Gyalwa Karmapa. Mikyö Dorje demonstrated great knowledge and realization of the sutras, and Rangjung Dorje demonstrated great knowledge and realization of the tantras. Rangjung Dorje was a master of the Kalachakra teachings. He had the experience, realization, and clear knowledge of the movements within the body, of the nadis (“the channels”), the vayus (“the subtle winds”), and the bindus (“the subtle essences”). He understood them quite clearly as they are taught in the tantras and he composed the text, The Deep Inner Meaning - Zabmo-Nangdön. Here he described all the highest tantras, the Anuttaratantras, which consist of the father, the mother, and the non-dual tantras. Since Rangjung Dorje had mastered the Kalachakratantra, he understood astrology and therefore the movements of the sun, moon, and stars on the basis of his knowledge of the nadis, vayus, and bindus within the body. He therefore composed astrological texts based upon the Kalachakratantra, which clearly explained the movements of celestial constellations. These texts are exceptional, because they illuminate the movements of the planets, solar system, lunar eclipses, etc. Rangjung Dorje wrote two treatises, which are branches of the Zabmo-Nangdön. These two shastras are Transcending Ego: Distinguishing Consciousness from Wisdom and The Teaching on the Tathagatagarbha, the text presented here. In the first shastra, the Glorious Third Karmapa showed the difference between the various types of consciousness and wisdoms; in the latter he showed how the Buddha nature is present within all living beings. All living beings born in the world see it as their birthright and duty to experience happiness. But they experience the suffering of ageing, sickness, and death. Alternating between surprise and disappointment, the only liberation from anxieties arising from dual experiences that burn continuously is recognizing and removing own imperfections and evolving instead of remaining self-involved. His Holiness the Third Karmapa, Rangjung Dorje, therefore wrote The Treatise entitled: “A Teaching on the Essence of the Tathagatas (The Tathagatagarbha)”. The Third Karmapa wrote the treatise that explains the Buddha nature so that disciples and pupils let go of their sense of being separated from the external world and give rise to and manifest kindness and goodness instead. 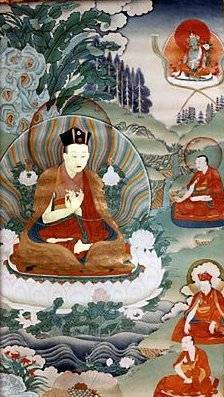 Rangjung Dorje taught about the essence of the Tathagatas, one could also say Sugatas, and called the treatise The Sugatagarbhashastra. Sugata means “gone to bliss.” In order to win the peace of bliss, it is necessary to follow in the footsteps of the Buddhas and Bodhisattvas. In this regard, a spiritual teacher who has attained wisdom and bliss can - through setting examples, presenting instructions, and offering guidance - show the way. Can ordinary beings reach the same goal the Buddhas have attained? Just as the Buddhas and Sugatas tread the path and have gone to bliss, every living being can, because the Buddha nature is innately ours. The term Sugata refers to bliss, which, in turn, points to suffering and pain. The term Tathagata, in contrast, means “one gone like that” or “one gone thus.” This means that when a Bodhisattva has realized Buddhahood, he or she has not only gone to bliss but has naturally manifested his or her true nature - bountiful virtues and values of lasting worth. All living beings possess the Buddha nature, the pure essence. Everyone can attain a state of bliss that opens and yields ineffable qualities. How? By meditating. There are the Dzogchen and Mahamudra meditation instructions in the Buddhist Tradition. One needs to receive these instructions from an authentic spiritual master and guide, someone who can reliably show the way. If one receives meditation instructions, understands them correctly, and knows how to practice, then no difficulties will arise. If one does not understand the instructions clearly, then practice will be very difficult. This is the reason why the instructions on the Buddha nature were given. In the commentary to this text, Jamgon Kongtrul Lodrö Thaye the Great stressed the importance of knowing why one engages in meditation practices. The reasons are presented in the teachings on the view, which is won by studying the texts. He stressed the significance of practicing meditation with the correct view, otherwise one would resemble someone who tries to climb a steep mountain cliff without any hands. Similarly, he compared someone who has won certainty of the view but does not meditate with a rich person who hoards his wealth out of miserliness. Jamgon Kongtrul Lodrö Thaye wrote that if one practices both disciplines, namely gains certainty of the view by studying the instructions and meditates correctly, then a disciple resembles a bird flying through the sky with two wings fully in tact. He tells us that the right wing of the bird is meditation, the left wing is knowledge, and when both wings are healthy the bird can fly freely. This is the reason why the Third Karmapa wrote the treatise on the Buddha nature - so that disciples are inspired to attain unity with their own brilliant treasure that is ever present and true. In general, the discourses presented by Lord Buddha are collected in the Kangyur, “The Translation of the Buddha’s Word,” or sutras (Sanskrit for the Pali word sutta, “scripture”). The three traditions of Buddhist scriptures are the Theravada, the Chinese, and the Tibetan. In particular, the Chinese masters emphasized the sutras and criticized the shastras (bstan-bcos in Tibetan), which are the “written commentaries” by Buddhist masters that are collected in the Tangyur, “The Translations of Teachings”; they said that they are not valid. The Vajrayana masters of Tibet always recognized and honoured the importance of the shastras, because the scholars who composed them did not write something different than Lord Buddha’s words. The Tibetan version of the Tangyur consists of more than 100 volumes. The vast collection of scriptures are named after the place where they were printed and published. The complete Kangyur was first published in Beijing in 1411, the first Tibetan edition was printed at Narthang in 1742 and consists of 98 volumes. The Narthang Tangyur contains more than 3600 texts with stories, commentaries on the tantras and sutras, discussions on Vinaya and Abhidharma, logic, rhetoric, grammar, literature, biographies, painting, medicine, chemistry, and astrology. The Derge Kangyur was edited by Situ Panchen Chokyi Jungney and was completed in 1744 by Tsultrim Rinchen. The Derge Collection was printed at both the Printing Academy and Palpung Monastery in Derge, West Sechuan, the latter treasured in most monasteries, hermitages, and temples in Tibet and Mongolia the most. It was because of these collections of Buddhist wisdom that the Mahayana tradition survived through many centuries, from the time that the translations began in the 8 th century until now. Why were the shastras written? One reason why the shastras that are collected in the Tangyur were written is because the Buddha’s teachings are so vast and a beginner would find it very tedious to gain an understanding of a specific topic from the original texts collected in the Kangyur, which are not organized in an accessible way. The Buddha replied to individuals who asked questions in different places and under other circumstances, therefore the teachings are answers to specific questions. Pupils living somewhere else asked other questions and received different answers. The vast amount of teachings are therefore scattered throughout the sutras and not organized according to topics in a single volume, so it is not possible for us to learn what we wish to know from the many sutras. This is the reason why great masters composed treatises in which they collected and compiled a subject matter from the various sources into one text. A shastra deals with one subject found in many sutras. This is one reason why the shastras are important and precious - a specific topic is accessible. Furthermore, shastras clearly explain profound subjects. Some pupils think that only knowing what the Buddha said suffices and have deep faith, while other pupils are more inquisitive. For example, in The Prajnaparamitasutra we read, “There are no eyes, no ears, no tongue (…).” Some students have conviction in this statement and rely upon the Buddha’s words. Others wonder and seek explanations from qualified teachers. Scholars wrote texts to explain the meaning and logically prove why such statements are valid and true. would be covered. These are three reasons why Rangjung Dorje and other great masters wrote shastras. (1) Meaningless shastras are texts that, for example, go into detail to argue whether birds have teeth or not. Such literature is of no help to anyone and does not encourage spiritual practice. Studying them is of no help or benefit to anyone. (2) Incorrect shastras convey wrong meanings. For instance, there are texts that try to explain that if one dies in a war, one will attain liberation, but dying in anger and rage that every war always entails is of no benefit to anyone at all. (3) Meaningful shastras convey beneficial thoughts. Studying this type of treatise will definitely be good. (4) Deceptive shastras mislead people. There was once a king in ancient India who had a beautiful daughter he wished to see married, so he wrote a text in which he said that things happen for no reason at all and haphazardly. He argued that peas are round and thorns are sharp without a cause, implying that even though his daughter grew up in a hothouse atmosphere, there would be no reason to worry about marrying her. (5) Heartless shastras are texts that have no compassionate message. Once I came across a group of Hindu ascetics at the Marataka Caves who were sitting around a burning log and inhaling the smoke. I asked them why they were doing this, and they answered that they were practising asceticism just as they had read. Now, a teaching of this kind only causes suffering for such practitioners and does not help anyone at all. (6) A shastra that instructs how to eliminate suffering is a treatise that shows how to become free from the temporary suffering of conditioned existence and how to achieve lasting freedom from discomfort and discontent. (7) A shastra devoted to learning is a treatise that helps gain an understanding of a subject matter. (8) A shastra dealing with debate is a treatise that teaches how to discuss various opinions through refutations and proof. (9) A shastra devoted to spiritual practice is a treatise that brings lasting benefit. Shastras seven and eight offer temporary well-being, while number nine teaches how to practise so that one gains reliable, beneficial results. There are six types of shastras that one does not need: 1, 2, 4, 5, 7, and 8. One needs the treatises that have a meaning, that show how to eradicate suffering, and that are devoted to helping us practice: numbers 3, 6, and 9. The tradition of writing shastras originated in India, where scholars would compile and comment specific subjects presented in the sutras. In Tibet, another tradition arose and developed. Masters would commence a commentary by first composing an outline of the entire text they were presenting. Their treatises begin with a short summary, and then they wrote a detailed explanation. This approach makes it easier for the teacher and for students. It is difficult understanding an outline which summarizes an entire text, often referred to as “root texts,” and that is also why shastras were written. In the Buddhist tradition, it is the custom when writing a treatise to begin with the name of the treatise, then to pay homage, and often to pledge to write the treatise. This is done so that the author doesn’t encounter any obstacles while writing a book and so that the text presenting the Buddha’s words benefits others in the future without any hindrances. The supplication is written with the wish that when it is finished and others study, contemplate, and meditate it, they will encounter no obstacles but will be able to master the training and practices that the author hoped to convey. I pay homage to all Buddhas and Bodhisattvas. To all who merit veneration, I bow down. That I might gain this precious attitude, I make a perfect offering. When paying homage, there is the understanding that the Buddha has two qualities. These two qualities address the two sides of existence, being and becoming. The first side points to the fact that ordinary living beings have the three negative kleshas (Sanskrit for “mind poisons”), which are ignorance, aggression, and desire. The second aspect is that ordinary living beings possess the pure qualities of knowledge and love for others, small in comparison to the mind poisons. The positive qualities gradually manifest when a practitioner relies on the remedies to decrease and eradicate the kleshas the moment they arise or before they grow. When the negative kleshas have been eliminated, then there is attainment of Buddhahood, the state of a perfect Buddha, which is enlightenment. The Tibetan word for “cleansed” is sang, the first half of the name for Buddha. When all faults have been removed, then the positive qualities manifest; they are wisdom, love, and great compassion for all living beings. Love and compassion encourage and empower one. All qualities of being and becoming develop and increase through the cleansing process of practice. The Tibetan word for “developing and increasing” is gyä, the second half of the word for Buddha in Tibetan, Sang-gyä. That is why Sangyä, “Buddha,” embodies the purification of all negative tendencies and habits as well as the attainment of all beneficial qualities, which are then “vast,” gyä. Paying homage to Lord Buddha is honouring and revering the result of the path, the supreme state of perfection, which is enlightenment. There is also the homage to the Bodhisattvas who are on the path, i.e., those progressing from the state of an ordinary being to that of perfection. Bodhisattvas have three qualities, as the connotation shows. The Tibetan term for the Sanskrit word bodhi has two syllables, chang and chub. These two syllables mean, respectively, “cleansed” and “attained.” Just as the word sang in the Tibetan name for Buddha, Sangyä, cleansed means purified of the negative kleshas described above. A Bodhisattva has not cleansed all kleshas yet, since he or she is still on the path, but gradually eliminates more and more while practicing the skilful methods of the path. The second Tibetan syllable for the Sanskrit word bodhi is chub, which means, “to obtain (the positive qualities).” A Bodhisattva unfolds more and more qualities of being while he practices the stages of the path. In this way, a Bodhisattva develops qualities of purification as well as attainment. The Tibetan word for the Sanskrit term sattva in Bodhisattva is sem-pa and means “a hero, a courageous and brave person.” A practitioner of the Buddhadharma indeed needs courage in order to eliminate his or her own faults that are impediments to the pure qualities of being that everyone has. In the beginning, a practitioner needs confidence; he or she needs to know that it is possible to remove negative kleshas and to manifest values of worth. A student needs confidence that practicing the teachings Lord Buddha imparted will lead to the beneficial results of purification and attainment, qualities a Buddha manifests freely and openly. A Changchubsempa, a Bodhisattva, sincerely and diligently works with and realizes these three values that beautify him or her: courage, purification, and realization, and he or she never gives up. In the past, texts that dealt with topics from the Abhidharma or higher knowledge began with homage to the Bodhisattva Manjushri, who embodies wisdom. The sword he carries symbolizes that he cuts the basic klesha of ignorance. Lamas, Yidams and deities of the mandala. Namo Guru means “homage to the Guru,” “homage to the teacher.” This is written because when one practices the Dharma, in particular meditation, one needs to rely upon a teacher for instructions. If one meditates without a guide, the meditation may be faulty. In the same way as one needs a guide to show the way to a place one wishes to visit, one can end up where one didn’t want to go without one. With a guide, it is easier taking the right road and it is more likely that one will arrive at the destination one set out to reach. It is the same with the practice of meditation. One needs a teacher because one has no experience. One needs someone who can instruct, “If you meditate in this way, then you will have that kind of experience, and when you have that kind of experience, this is what you should do.” Trying to meditate without a guide may be all right but may go wrong. Even if everything goes well, there are different ways of practicing meditation. There might be a long way, there might be a short way, so one needs to have a teacher who has experience in meditation and who can guide one in one’s practice. This is important for the practice of meditation in general but especially for Mahamudra and Dzogchen. That is why The Aspiration Prayer for Mahamudra begins with homage to the teacher. Furthermore, the homage to all Buddhas and Bodhisattvas, i.e., the Victorious Ones and their sons and daughters, is a request for their blessings, which must always be made. Some people think that they don’t need a blessing and that whatever they achieve is their own making. But it isn’t like that. Others may think that a blessing gives them power and imparts an immediate transformation. But it is not like that either. One receives the blessings from the Guru in terms of positive karma, so that one will be able to gradually abandon ill-will and increase the good, or that the one will be able to diminish the kleshas in one’s mind and enhance one’s good motivation as well as one’s love and compassion for others as one has for one’s own kin. One only gains wisdom through one’s own efforts as well as through the blessings one receives, so there is a natural dependence. In The Aspiration Prayer, Rangjung Dorje also supplicated the Lamas and Yidams of the Transmission Lineage who abide in the splendorous mandala. One prays to them, too, because one has faith and wishes to receive their blessings. It is a wish, and wishes come true if one has faith and sincerely tries. Unconditional, I prostrate myself before you all. Teachers of the three lineages, I prostrate myself before you. To work for beings’ benefit you appeared to them in nirmanakaya form. 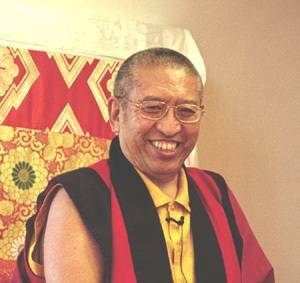 Omniscient Sovereign of Dharma, I prostrate myself before you .” (Patrul Rinpoche, Kungzang Lama’ i Shelung – The Words of My Perfect Teacher, Shambhala, Boston, 1998, page 3. What is fruition of one’s efforts? Bringing appearances, which are generally experienced as imperfect, to a pure level. The view won through studying the scriptures means understanding that anything experienced is only relative. In truth, appearances have no real existence, are like visions in a dream. Understanding the true essence of all things is experiencing their purity. It is not through reciting mantras or through receiving some substance, which one thinks possesses power, that impurity is transformed. It is through understanding that appearances themselves are not imperfect, but that clinging to things as real generates and increases the confusion and suffering that the kleshas always entail. What are impure and pure levels of being? Although things are in the absolute sense voidness or the pure nature, on the relative level things manifest in dependence upon one another; they originate one from the other. Impure levels of being are perceiving and believing that things are real and exist independently, whereas the true nature of all things is emptiness. Appearances aren’t wrong; rather one’s way of relating to them - as though they were final and real - is mistaken. It is due to emptiness that things arise and cease again and it is due to their unimpeded self-expression that they incessantly arise. On the relative level, things appear but in truth are non-existent, i.e., have no independent reality of their own. These two aspects only contradict each other as long as the interconnected nature of all things is not understood. As a result, one perceives appearances and experiences and hides from one’s own limitations, because one cannot see that things appear while not existing in dependence, i.e., things seem to exist independently but don’t. The right view attained through studying, contemplating, and meditating the Buddhadharma is realizing that relative appearances and their ultimate nature are not in opposition to each other but are the inseparability of emptiness and self-expression, i.e., appearances are empty by nature, continuously manifest, and do so uninterruptedly. These are the three permanent aspects of lasting wisdom – the dharmakaya, sambhogakaya, and nirmanakaya. 4. When Did Samsara Begin? When Will It End? “Though beginningless, it has an end. It is pure by nature and has the quality of permanence. like, for example, a golden statue that has been obscured.” That was taught (by the Buddha). “The element of the beginningless time is the location of all phenomena. “All beings are Buddhas, but obscured by incidental stains. When those have been removed, there is Buddhahood.” That is a quotation from Tantra. Some students may think that the first sentence after the homage, “Though beginningless, it has an end,” is quite strange and they could argue that samsara must have a beginning somewhere and at some time. In fact, many people insist that anything and everything has a beginning. But this is not so. Let us look at the example of a flower. Where did the flower originate? It came from a sprout, and the sprout grew from a seed. Where did the seed originate? It came from last year’s flower, and last year’s flower came from a seed that was a product of a previous year’s flower – on and on, into the past. We clearly understand that there is no beginning and will never be found, no matter how hard people try. Similarly, the succession of lives in samsara has no beginning. When will samsara end? Although never, Rangjung Dorje tells us, “it has an end.” This means that although there is no beginning, samsara has an end. How can this be? When one attains Buddhahood through practice, then samsara ends. Other texts say that samsara is endless. How can that be? These statements seem to contradict each other. What they mean is that for an individual samsara is beginningless but will eventually end. Since there are so many living beings in samsara, it is, in fact, endless. This is the reason why samsara does end and is endless at the same time – it is endless in that there are innumerable beings in myriad worlds entrenched too deeply in samsara to even sense that it is possible to experience relief. This means that the Tathagatagarbha, the Buddha nature, has two qualities. Some people think that it is not faultless, but this is not so. It is immaculate and has no defect whatsoever. It is also permanent, i.e., it is continuously present, at all times, and therefore has the quality of permanence. That is to say, it is covered and therefore cannot be seen, the fifth characteristic of the Tathagatagarbha, which is compared to a golden statue that has been concealed. In the Uttaratantrashastra, Maitreyanatha presented the simile of someone possessing a piece of gold that fell from his hands and was lost in the rubbish around his feet. One day an impoverished man came along and built his shack on the mess. He lived there, atop the lump of gold, destitute for food and clothes. The gold could not reveal itself, and the poor man could not see it hidden in the dirt under his hut. A clairvoyant could, and one day someone with such abilities walked by the shack. Out of compassion, he told the beggar that he only needed to dig for the pure gold under his house and all his worries would stop. Yet, the poor man first needed to believe what the clairvoyant had told him before he started digging for the treasure he had been living on for such a long time. In the same way, all living beings have the Buddha nature, which - like gold - is changeless. As long as we are in samsara, we cannot see it. The Buddha saw the Tathagatagarbha abiding within each and every one. Out of great compassion, he taught about the Buddha nature, showed how to reveal it through practice, and proved that no one is forced to suffer samsara’s frustrations. Yet, we need to believe and trust him; then we are free to hear, contemplate, and practice the instructions in order to realize the true nature abiding way down within. After unearthing the gold, samsara finally ends. Rangjung Dorje is sharing a quotation from the The Hevajra Tantra with us, that all beings are Buddhas, always and already, because they have the precious Buddha nature which is momentarily obscured by the kleshas, the incidental stains or negativities of the mind. In the Madhyanathavibhanga - Distinguishing the Middle from the Extremes, Maitreyanatha gave three examples that show in which way the Buddha nature is obscured and can be purified again: Water is by nature pure but can be polluted by soil and dirt – it can be cleansed. Gold is by nature pure but can be discoloured on the surface – it can sparkle again. The sky is by nature pure but can be obscured by clouds – it can and will be clear again. Nagarjuna, the extraordinary Indian master of the first century A.D. who founded the Madhyamaka School, also dealt with this topic and presented the examples of the sun and moon. He tells us that they are by nature bright and clear but can be covered by a veil of clouds or dust or they can be concealed from our sight through eclipses. Similarly, the Buddha nature is changeless and pure but can be obscured by the five kleshas (“the incidental stains” or “negativities of the mind”), which are summarized as five: craving, desire, maliciousness, laziness, and doubt. These stains can be eliminated. When the sun and moon shine brightly again, they appear naturally and need not have been created anew. Just so in the text by Maitreyanatha, Distinguishing the Middle from the Extremes: Once the pollution, incrustations, and clouds have been removed, the natural purity of water, gold, and the sky, respectively, appear naturally. Their purity is not created. Likewise, once the kleshas of the mind have been removed, the purity of the Buddha nature manifests freely and radiantly. It is not created anew. Rangjung Dorje stressed the importance of learning about the Buddha nature by offering quotations from the sutras and tantras, to enhance one’s trust and diligence towards experiencing and manifesting the true nature abiding within. Many students tell me that they practice so hard but do not really know why. It is important to want to practice, and that is why Lord Buddha presented the teachings on the Tathagatagarbha. By having trust and confidence in our true nature and knowing that the experience of delusion, suffering, and pain can end, we are inspired to make friends with ourselves and others by unveiling the Buddha nature that is always and already abiding within each and everyone. We went through the introduction to The Tathagatagarbhashastra by Rangjung Dorje in the section, “When Did Samsara Begin? When Will It End?” It is a summary of the quotations on the Buddha nature from the sutras and tantra and introduces the contents of the shastra that the Third Karmapa now offers in detail. The root text lists six definitions of the Buddha nature given in the sutras. I pay homage to all the Buddhas and Bodhisattvas. It is unseen because it is obscured by a beginningless covering. “Beginningless” means that there is nothing previous to it. The “time” is that very instant. It hasn’t come from somewhere else. There is the element of beginningless time in all living beings, which is also the essence of the Tathagatas. It is the place from which all wonderful qualities of being arise and already exists within every living being without exception. This means that the one or other person does not have a better chance of realizing his or her own true nature. The word “beginningless” means that there is nothing previous to something, that nothing has gone before. If there is a beginning, then there wasn’t anything before. “Time” is therefore described in this verse as “that very instant,” i.e., time is the present mind in this very instant. Its essence is emptiness and its nature is clarity. When the essence and nature have been realized, the ultimate is seen. One then realizes that the relative arises amid the vast expanse of the ultimate. The true nature of the mind is just that and not outside conditioned existence. Rangjung Dorje continued by presenting the next five definitions of the Buddha nature according to the sutras. They are: element, phenomena, location, exists, and the end. The “element” has no creator, but is given this name because it retains its own characteristics. The Tibetan term for “element” here is khams, the Sanskrit word is dhatu, a term frequently used for the Buddha nature in the sutras and predates the usage of the term Tathagatagarbha. So “element” refers to the beginningless Buddha nature, which is always and ever present within all living beings. The definition of the term “element” in this context is therefore “the essence of the Tathagatas or Buddhas.” Thus the essence of the Buddhas is the element possessing all the magnificent qualities and characteristics of a Buddha. Who created it? Nobody created it because it possesses its own qualities, i.e., the Buddha nature is replete with the knowledge of a Buddha, the love of a Buddha, as well as the power and qualities of a Buddha’s body, speech, and mind. These qualities are present within each and everyone and can manifest abundantly when obstacles have been removed. “Phenomena” are explained to be samsara and nirvana appearing as a duality. are the cause of that arising (of samsara and nirvana). The conditions for their causes are taught to be the alaya (the universal ground). The sutras teach that everything is empty of inherent existence. In the Prajnaparamitasutra, for example, we read, “There are no eyes, no nose, no tongue, (…).” In the shastras we learn through logical reasoning why all phenomena are empty of an own existence. Great masters like Chandrakirti offered proof why nothing has an inherent existence; Nagarjuna and Shantarakshita presented further arguments why the sutras are true. By studying their books we gain conviction and certainty in the fact that all phenomena are devoid of inherent existence. These teachings show us that all things are empty, which is ultimate reality, and that things appear, which is relative reality. Emptiness does not mean that phenomena are a vacuum like space or non-existent when they do appear and exist. All things have a pure and an impure aspect, depending upon the view. The pure aspect of living beings is the Buddha nature, which is the clear and lucid power of awareness that everyone has. It is not a blank state. Maitreyanatha tells us in The Uttaratantrashastra that the Buddha nature is the presence of clarity and omniscience. The Mahamudra instructions tell us that the Buddha nature is not beyond the realm of the mind that possesses awareness and conscientiousness. If one investigates where the mind is located – whether inside or outside the body – one will never find it. Why? Because the mind as well as outer appearances have no reality. This does not mean to say that nothing happens or exists. Things exist just because the mind clearly perceives, understands, cognises, and knows. When the mind is directed outwards, appearances can be recognized and known due to the clear aspect of the mind; one does experience appearances but fails to simultaneously recognize that the mind is empty. Mind’s essence is empty of an identity, its nature is clarity, and its aspect is unceasing. It is due to the force of focusing on the clear and unceasing nature of the mind that its empty essence isn’t seen. Ignoring the mind’s essence is what Rangjung Dorje referred to when he wrote about the ground of the latencies of ignorance. There is the ground of the latencies of ignorance, the ground amid which all delusory appearances arise. Another description of the Buddha nature is “location,” the location for both samsara and nirvana. The “location” is the Buddha nature. Incorrect conceptualisation is completely located within the mind’s purity. Samsaric conceptualisations arise due to a deluded state of mind, and the basis of delusion is the Buddha nature, which is also called “the essence of the Jinas.” The Jinas are “the victorious ones.” The Tibetan is rgyal-ba’i-snying-po, “the essence of the Jinas,” which is synonymous with de-gshegs-snying-po, “Tathagatagarbha.” The Sanskrit equivalent would be jinagarbha. In the section in this text, “When Did Samsara Begin? When Will It End?” the Third Karmapa explained that everything is located within the Tathagatagarbha. As it is, there is the Buddha nature as well as incorrect conceptualisations. Where is the basis for incorrect conceptualisations? In the Buddha nature. There is no other condition for incorrect conceptualisations than the Buddha nature. through our mind, we are in the true nature – we cannot ever be anywhere else. This purity that exists in that way exists, but is not seen due to ignorant conceptualisation. The fifth description of the Buddha nature is that it exists in the present moment. One may wonder whether it undergoes any changes or transformations. No, it does not. It is pure and is always immaculate, but due to the delusions arising from the ground of ignorance we are not able to see it. The example of gold was presented earlier, i.e., although gold may be buried under the earth for thousands of years, it never undergoes a change but always remains pure. The only reason why the gold is not seen is because the earth covers it. Likewise, although the Buddha nature is always present, it never undergoes a change and always remains untouched. The only reason why the true nature is not seen is because it is obscured by the thoughts arising from ignorant conceptualisations, which is the nature of samsara. Rangjung Dorje tells us that samsara ends in the sixth definition of the Buddha nature. When conceptualisations arising out of samsara have been dispelled, then samsara ends. In The Jewel Ornament of Liberation, Je Gampopoa wrote that the Buddha nature is all-pervasive. He compared it with oil concealed in a sesame seed, with butter in milk, with silver in silver-ore. Although present, one only wins the oil by grinding the sesame seed; one only gets butter by churning milk, and silver by melting ore. In the same way, wisdom and compassion only emerge when incorrect conceptualisations have been dispelled. As long as living beings remain ignorant of their true nature, understanding and wisdom are constrained. When samsaric involvement is eliminated, then the Buddha nature is directly seen and limitless wisdom and compassion emerge and manifest radiantly. This wisdom is not mixed or tainted with pride, anger, and the other kleshas. The nature of knowledge and wisdom is love and great compassion for all living beings. Restricted love and compassion is compared to a mother who has no arms to save her child from drowning in the torrents of a river that has swept it away. The mother would be helpless without the arms of wisdom, and the child would be lost. The incomparable love and compassion of a wondrous Buddha are not like that. A Buddha has abilities and strength. When the Buddha nature is directly seen and realized, then there is unrestricted, limitless wisdom, compassion, and strength - the end of samsara. 6. How Does Samsara Arise? Before dealing with the invaluable qualities of the Buddha nature presented in The Tathagatagarbha, it will be necessary to continue with the text in the sequence of its presentation. The first sections are entitled, “Homages in the Traditional Texts,” “Why Shastras Were Written & Nine Categories of Shastras,” “When Did Samsara Begin?,” “When Will It End?,” and “What Are the Descriptions of the Buddha Nature?” The Third Karmapa continued by explaining how samsara arises. He divided this section into three parts: How samsara arises through incorrect thoughts, how the root of delusion arises through attachment and aversion, and the remedy. mental events that are like winds, that cause karma and kleshas to arise. and all the phenomena of dualistic appearances. Although there is no beginning or end to samsara, there seem to be a beginning and an end. One is separated from the truth when one thinks that there is a beginning and an end; these delusory thoughts give rise to the ground or latencies of ignorance. It is ignorance that stimulates and gives rise to reactions, which are like airs or winds that are very subtle. It is due to the ground of ignorance that there is the subtle appearance of illusion concerning everything that arises, out of which the kleshas emerge. Klesha means “pain, affliction and distress.” The Buddhist Sanskrit also means “impurity and defilements.” The Tibetan translation nyon-mongs means “physical or mental misery, distress, and misfortune.” As a standard term, it refers to various lists of ignorance, anger, envy, pride, craving, etc. When the kleshas arise and reinforce the initial sensation, the chaotic forces that bring on frustration increase, too. What is the basic illusion? Perceiving and conceiving that phenomena are separated from the self. It is because of attachment to “a self” and misinterpretation of “others” that pride, jealousy, maliciousness, and further inadequate mental activities spring up and grow. The process increases if it is not recognized and pacified. Karma is accumulated in the process, both good and bad, due to mental activities that engage in trying to accomplish things to validate the insufficient feeling of “a self.” Karma literally means “action,” though in other contexts it can also mean “duty and rite.” The Tibetan translation is läs, which means “actions.” Good karma is created through love and compassion, negative karma through ravaging emotions. The mental activities leave an imprint in the ground consciousness, the alaya, where they are stored as latencies, which, in turn, stimulate and activate the five skandhas, the eighteen dhatus, and twelve ayatanas. We learned that all things that appear, all phenomena, are composed of parts and are therefore devoid of an own identity. Nothing whatsoever is independent and therefore nothing has an own, inherent existence; all things are “a heap” of various components and factors, are therefore not singular and, in any case, not self-existent. There are eighteen dhatus, “elements (of sensory perception),” khams in Tibetan, that give rise to the five skandhas. There are the six sense consciousnesses of sight, sound, smell, taste, tactility, and mind. These six consciousnesses arise due to the six sense faculties and the six objects that can be perceived: sights, sounds, smells, tastes, tactile objects, and thoughts. There are twelve ayatanas, “bases (of sensory perception).” The Sanskrit means “seat, abiding, place,” etymologically closely related to alaya. In Buddhist context, the sites, abodes, or supports of sensory experiences are the six sense faculties (the sixth being the mental faculty) and their respective six objects. The Tibetan term is not a literal translation but is made up of the two syllables “birth” and “increase,” skye-ched, in reference to sensory experience. The inner bases of perception arise, develop, and increase. Relatively speaking, the external objects are perceived by the internal minds, which arise and increase upon having perceived an object fit to be perceived by a respective consciousness. Experiencing the dual as unitary, and vice versa, depends upon the skandhas, dhatus, and ayatanas, and all experiences are said to be like dreams. In a dream we see houses and places, we experience joy and fear, whereas those appearances - that the mind believes to be real while dreaming - do not exist. Similarly, apprehending dualistically occurs in the mind, whereas the Buddha nature is non-differentiate. Logic and reasoning prove that all things arise from the mind. Yet we assume that what appears to the mind does not arise from the mind and cling to the duality that there is something special about subjective experiences which distinguish it from objective things. Therefore, the “self” is in conflict with “other.” Earlier, we saw that nothing truly exists, that all things are by nature empty of inherent existence. Let us take the hand as an example and seek its basis for imputation, its unitary reality. It is not hard understanding that the thumb is not the hand, that the flesh and bones are not the hand either. Does a hand exist independently of its fragments and parts? No. It is easy seeing that there is no self-existing hand, no self-existing fingers, either, and no self-existing joints that do not consist of fragmented parts, too. Yet we speak of a unitary whole as if things were singular, unique objects, independent, and free. In the same way, no object exists other than through the mind that identifies and designates the assembly of many parts as a whole. Therefore, all outer and inner appearances are mind, i.e., arise from the mind. Someone who strives for and discards these (appearances) is deluded. What can be negated through rejecting your own projections? What can be gained by acquiring your own projections? Isn’t this belief in duality a fraud? The glorious Third Karmapa explained how all things arise from the mind. If this is so, then all actions arising from attachment and aversion are illusory. Being in a state of delusion, appearances seem to be external and other than the mind. We hope that specific appearances and experiences are beneficial and experience others with fear. We saw that actions arising from attachment and aversion are not only harmful but also wrong. When we realize that everything is an appearance of the mind, then there is nothing to get rid of and nothing to be won. Though this understanding is taught as a remedy, the understanding of non-duality is not truth. It is the conception of non-conceptuality. isn’t it itself a delusion? But it is taught so that attachment to things as real will cease. It was taught that all dualistic appearances – all things perceived as “a self” and as “other than the self” – are experienced wrongly, that no appearance has a true and self-existing reality. Thinking that their essence is empty is a thought that has no reality either, i.e., this thought is also a delusion. Aren’t you yourself a delusion? The great sage Saraha taught that clinging to things as real is stupid, but clinging to emptiness is even more foolish. Then why are these teachings presented? Why does The Prajnaparamitasutra teach, “There are no eyes, no ears, no (…)”? Why are the instructions about the lack of independent existence taught? To counteract clinging to what appears as other than and foreign to the self. There isn’t anything that is either real or false. The wise have said that everything is like the moon’s reflection on water. Allow me to repeat that a perceiver, the act of perceiving, and a perception have no true reality and that they are not false either. This may be very hard to understand and might seem contradictory. Therefore Rangjung Dorje shared the image of a moon’s reflection on water with us. The reflection of the moon on the surface of a still lake is not the moon, but it would be wrong thinking that the reflection is not that of the moon. The “ordinary mind” does not cling to or channel delusory thoughts of chaotic forces and does not need to be changed. Instead, the wise simply rest in the mind’s true nature and leave it “just as it is,” t-g-s, “ordinary,” while it is ever so brilliant. 7. Why Did Rangjung Dorje Write The Tathagatagarbhashastra? The last section was a general introduction to the Buddha nature. Rangjung Dorje continued by presenting detailed descriptions. The “ordinary mind” is called the dharmadhatu and the Buddha nature. The enlightened cannot improve it. Unenlightened beings cannot corrupt it. It is described by many names, but its meaning cannot be known through verbal expression. The ordinary mind has many names. It is called “dharmadhatu” when the appearances of its empty essence are meant. It is called “the essence of the Sugatas, the Buddha nature, Tathagatagarbha” when its clear and all-knowing brilliance is meant. Dharmadhatu is a Sanskrit term, the Tibetan is chos-kyi-dbyings. The term Tathagatagarbha, “the Buddha nature,” “the essence of the Tathagatas,” “the essence of the Jinas” also defines the ordinary mind. Jina means “victorious one,” “a victor,” i.e., one is victorious over anything that harms and one is a victor over any source of negativity and pain. It is the ordinary mind that can remove imperfections and that can develop positive qualities. Many other names are synonymous with the Mahamudra connotation “ordinary mind.” “Dharmakaya” refers to the experience of great bliss when suffering has been overcome and “prajnaparamita” when confusion has been transcended. Although there are many names, they all define the Buddha nature. Lord Buddha described the true nature of the mind by using many other terms, for example, “ultimate wisdom.” Although there are many names that describe the Buddha nature, it is ineffable. But when speaking about it, nobody can say that it exists or that it does not exist since it cannot be identified or designated with words. How can this be? It is beyond thought, beyond conceptualisations, and can only be experienced directly through meditation. The ordinary mind of an enlightened being and of a noble Bodhisattva on a high level of realisation does not improve or alter the Buddha nature in any way. The ordinary mind of a living being in samsara does not degrade, contaminate, or pollute it in any way. The Buddha nature is changeless. There is a reason why the Third Gyalwa Karmapa wrote about the Buddha nature and why Jamgon Kongtrul Lodrö Thaye the Great elucidated the shastra that discusses what had formerly only been introduced. These teachings help eliminate the five negative consequences that arise from having erroneous ideas. What are they? (1) Despondency, the first fault that can arise from having wrong thoughts about the Buddha nature, means losing hope. One may feel that one cannot eliminate the many shortcomings one has and does not believe that one can develop noble qualities of being. The teachings on the Buddha nature dispel despondency by showing that one truly has the strength to work on reducing and eliminating any weaknesses or misgivings and that one has the ability to work on developing and increasing values inherent within. (2) Hurting beings less fortunate than oneself is the second fault that can arise from having erroneous thoughts. If one denies that others have the Buddha nature, one might even think that there is nothing wrong with hurting those one considers low or inferior. In some countries there is the caste-system and those born into what is considered a lower caste are treated badly or are not even offered a chance to participate in a society that deems itself fair and just. Some people are more learned than others and mistakenly believe they will achieve more than those who are less learned. In some countries men are considered superior to women and even deprive them of humanitarian rights. The teachings on the Buddha nature tell us that all living beings have the Buddha nature and that nobody is privileged, i.e., it is not the case that some have the true nature and others do not. (3) Holding on to what is not true is the third fault that can arise from having erroneous ideas about the true. Thinking that only the elite or rich are endowed with the Tathagatagarbha and ignoring that everyone has it means fostering what is not true. (4) Denying the Buddha nature is the fourth erroneous thought. One believes that the Buddha nature does not even exist, that goodness is a myth. These teachings are presented to dissever such pessimistic notions and negative ideas. (5) Having pride of possessing a few qualities is the fifth wrong assumption. Someone may be proud of having developed a few qualities and then looks down on others as less advanced. However, if one knows that all living beings have the Buddha nature, then one sees that nobody – not even oneself - is better than anyone else. This fault is also eradicated through these teachings. Rangjung Dorje gave us these teachings so that we enter into sympathy and have empathy through the act of beneficent communication of awareness and conscientiousness. Rangjung Dorje described the qualities of the Buddha nature in general and continued with the qualities of the unsurpassable dharmakaya in particular. He defined the virtuous qualities of the three kayas precisely in The Tathagatagarbhashastra. Its unceasing manifestation (is taught) to have sixty-four qualities, though that is (just) a simplified description. It is said that each of the sixty-four has millions (of qualities). The Buddha nature unremittingly manifests sixty-four invaluable qualities, a condensed number in comparison to the real. Actually, each quality has millions. In general, the sixty-four are divided into those of the dharmakaya and those of the two rupakayas. 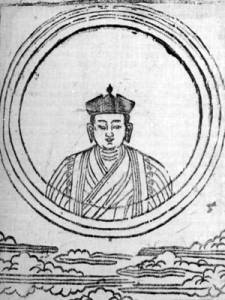 Rangjung Dorje elaborated the thirty-two unsurpassable qualities of the dharmakaya. The dharmakaya has thirty-two precious qualities, which are of the mind. They are defined as the ten strengths, the four types of fearlessness, and the eighteen distinct qualities of a Buddha only. There are the ten strengths: (1) the knowledge of appropriate and inappropriate actions; (2) the knowledge of the ripening of karma, (3) of natures, (4) aptitudes and (5) aspirations; (6) the knowledge of the destinations of all paths, (7) (the possession) of dhyana, (8) divine sight, (9) the memory of previous lives, and (10) peace. The ten strengths or powers are great abilities. They cannot be vanquished by anything. In The Uttaratantrashastra, Natha Maitreya likened them to an indestructible vajra in that they dispel one’s own and other’s ignorance and misunderstandings. That is the reason why they are so powerful. The ten strengths arise from having developed Bodhicitta, from having held the Bodhicitta commitments, and from having become a Bodhisattva. Bodhicitta is the genuine and precious motivation to attain the state of a Buddha for the welfare of all beings living in the vast expanse of space. It is divided into relative and absolute Bodhicitta. Relative Bodhicitta consists of the precepts of aspiration and the precepts of practice. Absolute Bodhicitta is identical with our true being, the Buddha nature. I have explained the etymology of the term bodhi in the section on homages. Citta is “mind,” so Bodhicitta means “the precious mind of awakening.” Let us look at each of the ten strengths of the perfectly established mind of awakening. (1) Knowledge of appropriate and inappropriate actions is the first strength, in which case a practitioner understands that certain causes bring on specific results. It is thorough knowledge of the interconnectedness between causes and results. (2) Knowledge of the ripening of karma is the second strength, which means knowing the results that ripen from actions. It is perfect foresight of the ripening of karma. Sometimes four types of karma are discussed: 1) Karma that will be seen, i.e., the result of an action will be experienced in the very same lifetime that the action was performed. 2) There is karma that will be experienced in the next lifetime, and 3) karma that will be experienced after a number of lifetimes. 4) Furthermore, there is weak karma that need not be experienced, if and only if it has been purified through practice. Sometimes two types of karma are explained: 1) Karma of initial impetus leads to rebirth in specific circumstances and situations and 2) karma of completion is all conditions of one’s present life. There are individuals who may have the initial karma for a good birth and are born into a fortunate life as a result. But when karma of completion ripens, then they will experience trouble and pain. There are individuals who may have the initial karma for a bad birth, but if the karma of good completion sets in, then they will experience an inferior rebirth, with enough food and good health though. There are other individuals who have both kinds of karma being bad; they will experience an unfortunate rebirth with much suffering and many difficulties. There are yet others who have both kinds of karma being good; they will have a good rebirth and experience happiness and joy. (3) Knowledge of natures refers to seeing beings’ makeup and constituents. A Buddha knows the hopes, fears, and interests that others have. When introducing someone to the truth of the teachings, a Buddha knows who will have faith and confidence in the path of illumination and not only gives them a sense of direction but also affects their entire life through manifesting miraculous powers. He also knows who will have faith and confidence in the Dharma through hearing and learning the teachings. Other students may need to actually see through examples of correct behaviour and discipline impressed upon them so that they win trust. Because he knew the inclinations of human beings and because he knew what would be best for those who sought his advice, Buddha Shakyamuni sent those people ready for clearer insight to his noble pupil Shariputra, who instructed them in reasoning and valid cognition. Lord Buddha sent those people attracted to miracles to his excellent pupil Maudgalputra, who performed miraculous deeds so that they were able to have trust. The Buddha sent those people sensitive to respectful behaviour to his perfect pupil Katyayana, sometimes referred to by the name Katyaputra, who displayed discipline so that they would be encouraged and assured. (4) Knowledge of aptitudes means that a Buddha recognizes the various capabilities of each and all in their toil to worthy themselves truthfully. For instance, some students may have trained in intellectualising but not be diligent; others may have much endeavour but have little understanding. In general, students can have a preponderance for one or a combination of the five types of aptitudes: understanding, diligence, mindfulness, faith, and samadhi. (5) Knowledge of aspirations: Some pupils may be keen on listening to the teachings, others intent on contemplating them. There are also students who prefer to meditate. Many people are interested in the Hinayana, others in the Mahayana. A Buddha knows which instructions people can relate to and patiently teaches them, accordingly and adequately, so that they can determinedly work on the straight course in their quest for what is reliable and true. (6) The knowledge of the destination of all paths means knowing the different yanas. For instance, if someone practices the Mahayana, then a Buddha knows which practice will benefit the most and which results that individual can achieve when working on self-mastery so necessary in order to progress. (7) The possession of dhyana, i.e., knowledge that possesses dhyana, the Sanskrit term for a “stable meditative state,” is the seventh strength. The Sanskrit term is the general word for “meditation,” both in its deepest sense and as contemplation. The Tibetan, bsam-gtan, has the more general meaning of “stabilized thought,” emphasizing an undistracted state of mind. A Buddha knows the various states of meditation. He knows which klesha is overcome on each stage of practice, so that a mind poison is not precipitated and renewed. (8) Divine sight means that a Buddha possesses the true and steady eye of wisdom that is capable of fathoming what is visible and invisible, the eye of wisdom that sees what is hidden and what will arise. (9) The memory of previous lives: A Buddha remembers past lives, what they were, and what was achieved. (10) Peace is the experience of cessation of kleshas, those pulling emotions that usually govern an unmanageable mind. Due to those (ten strengths), there are the four fearlessnesses: (1) teaching that one abides in enlightenment within all phenomena, (2) teaching the path, (3) teaching cessation, and (4) being beyond dispute. The four types of fearlessness are compared to that of a courageous lion, the reason why the Buddha is often depicted seated on a lion’s throne. The lion’s throne symbolizes the presence of the straight, reasonable, and true that lead to courage of the four types of fearlessness. Due to those causes there are these eighteen (distinct) qualities: (1) no error, (2) no empty chatter, (3) no forgetfulness, (4) continuous meditation, (5) the absence of a variety of identifications, (6) the absence of an undiscriminating neutrality, (7) the possession of an undeteriorating aspiration, (8) diligence, (9) mindfulness, (10) samadhi, (11) prajna, (12) the wisdom that sees complete liberation, (13)-(15) every action being preceded by wisdom, and (16)-(18) time being unable to obscure. If those thirty-two (qualities) are possessed, there is the dharmakaya. The eighteen distinct qualities of a Buddha only are said to be distinct because they are the marvellous and rare qualities that only a Buddha has; they are not those of Shravakas or Pratyekabuddhas. Maitreyanatha compared these unprecedented qualities with space in The Uttaratantrashastra. As it is, there are the five elements of earth, water, fire, air, and space. Space is distinct because it has capacities that the other elements do not have. Likewise, a Buddha’s eighteen qualities are unprecedented and distinct because no one else has them. It is on account of possessing the ten strengths and four types of fearlessness that the eighteen invaluable qualities of a Buddha manifest clearly. The eighteen meaningful qualities are divided into four groups: six qualities of behaviour, six of realization, three of activity, and three of ultimate wisdom. (1) No error: The six qualities of perfect behaviour pertain to values manifested through body, speech, and mind. Although Shravakas and Pratyekabuddhas are very mindful and aware, they can make mistakes. A Buddha never errs nor falters and does not engage in deceptive or misleading events. A Buddha never does anything that is useless and therefore his activities are sincere, meaningful, and beneficial. (2) No empty chatter: A Buddha never speaks without a reason. His or her speech is a spoken value and not a single word he spoke or speaks is useless. (3) No forgetfulness: The mindfulness and awareness of a Buddha never decline or sway. He or she never forgets anything that has passed through time. (4) Continuous meditation: There is never any decline in his or her mind that is held in meditation at all times. A Bodhisattva, in comparison, can rest in a state of meditation for a while but often loses his countenance when not meditating. The ability to carry the meditative state into everyday activities is won on the eighth, ninth, and tenth Bodhisattva bhumis. At Buddhahood, the meditative and post-meditative states irreversibly blend so that a Buddha never forfeits his meditation. In fact, a Buddha always remains in meditative equipoise during all four activities, while travelling, while moving about, while sitting, and while sleeping. (5) The absence of a variety of identifications means that there is never any deception in the mind of a Buddha. Variety of identifications is particularly in reference to the extremes of samsara and nirvana, rejection and acquisition. (6) The absence of an undiscriminating neutrality means that a Buddha has analysed the dharma perfectly and sees that everything is like a reflection in a mirror. A Buddha never gives in to indifference that is non-discriminative since he or she sees depth in all things, and depth is warmth when knowledge and wisdom are not separated from love and compassion. (7) The possession of an undeteriorating aspiration: A Buddha continuously aspires to teach the Dharma to students in accordance with their capabilities. It is never the case that a Buddha wishes to help sometimes and hesitates on other occasions. At all times, he tirelessly wishes to help and guide all those he sees laden with suffering and pain. others how to accomplish freedom from samsara, the centre of worldly ways. (11) Prajna: A Buddha has the wisdom and understanding of samsara and nirvana. He knows the true nature of all things as well as the manifold variety of appearances, i.e., he knows the way things abide and the way things appear. The Sanskrit word prajna is a composite of pra, which can mean “forward, directed onward” or “great” and jna, which means “to know, understand and experience.” As a verb, it means “to know, understand” or “discern.” As an adjective, it means “wise” or “knowledgeable.” As a noun, as in this case, it can mean “understanding, wisdom, knowledge” or “discernment.” In Buddhism, it can also mean “spiritual wisdom.” The Tibetan, shes-rab, is made up of the two words, “knowledge” and “best.” The word prajna can often be used interchangeably or as synonymous with jnana, is therefore translated as “wisdom” in this text. (12) The wisdom that sees complete liberation, jnana, refers to a pure mind that is free from the kleshas and their seeds. Jnana is the Sanskrit noun from the verb jna, “to know,” and therefore means “knowledge,” either general or spiritual. The Tibetan translation of jnana is shes-pa, but in the case of the knowledge of a Buddha there is the addition of the initial syllable ye, which means “primordial,” therefore literally meaning “primordial wisdom,” ye-shes in Tibetan. There is not only liberation from the mind poisons but also attainment of ultimate wisdom, which leads to the next six pure values of being. (13) Every action being preceded by wisdom: There is meaning to the simple blink of a Buddha’s eyelids and even a slightest action benefits others immensely. Possessing the true and steady eye of wisdom, a Buddha knows what needs be and sees the synthesis of motivation and action when goodness has been done. (14) Every spoken word preceded by wisdom: Every word a Buddha speaks is a word of spoken value. Every word he spoke had a meaning and purpose and continues benefiting others irrevocably. Possessing the true and steady eye of wisdom, a Buddha knows what needs to be said and sees the results when shared and conveyed. (15) Every thought preceded by wisdom: A Buddha never has a pointless thought that fails to synchronize work and love spontaneously made manifest for the benefit of others, no matter how differing their situations may be. Possessing the true and steady eye of wisdom, a Buddha’s love and compassion are boundless because they are preceded by wisdom. The three qualities of ultimate wisdom are that time cannot obscure the wisdom of a Buddha, for whom causality emerges in every instant. (18) time being unable to obscure the future, a Buddha sees undivided time. If those thirty-two (qualities) are possessed, there is the dharmakaya. Let us look at the Sanskrit word dharmakaya, translated into Tibetan as chos-kyi-sku, before proceeding with The Tathagatagarbhashastra. Originally, dharmakaya was a term to distinguish the presence of the Buddha’s teachings: the “dharma-body” from the rupakaya, “the form-body” of the Buddha. It also has the meaning of “a Buddha’s body that embodies the Dharma teachings.” In the Mahayana, while the word still retains the metaphor for body, it usually means the aspect of Buddhahood that can only be seen by a Buddha, i.e., Buddhahood itself, while other beings see actual bodies, the rupakayas. In our present (state), we deny the (presence of the Buddha nature and) these qualities. There is no understanding of it as it is. The non-existent “fabrications” are conceived of as existent. The “completely true” is not known. Thus we create our own torment. Oh! Understanding these qualities of the dharmakaya to be true, is the knowledge of truth. which is adopted by the agitation that follows it. It is not the case that living beings do not have the thirty-two qualities of the dharmakaya and that they are newly created when the final stage of practice manifests their true nature. The wonderful qualities are always present within the Buddha nature that everyone has, but the incidental stains momentarily conceal them. It is through practice that the stains are removed and a practitioner is able to right his or her inmost being. The thirty-two qualities that a Buddha possesses manifest in everyone when the Buddha nature is free. For example, as long as clouds obscure the bright sun, no sunlight can shine unhindered to and through us; when the clouds disperse, the sunlight shines freely. It is just like that with the Buddha nature too. We may doubt whether the thirty-two qualities are present in everyone since they cannot be seen and therefore we may even deny their existence. Rangjung Dorje wrote that it is due to the three characteristics - which are delusory apprehension, a deluded perceiver, and delusive appearances - that ignorance abounds. These three characteristics are called “the dependent.” The Tibetan word is literally “other-powered,” gzhen-dbang; the Sanskrit is paratantra, “dependent,” which can also be called “artificial,” as opposed to svatantra, “independent.” Rangjung Dorje explained this very precisely. Through knowing (the Buddha nature) as it is, one obtains its powers. There is nothing whatever to be removed. There isn’t the slightest thing that needs to be added. The truth is truly seen. If the truth is seen, there is complete liberation. The “element” is devoid of the incidental impurities, which have the characteristic of being separate. It is not devoid of the unsurpassable qualities, which have the characteristic of inseparability. While abiding in a state of meditation, nothing needs to be eliminated, nothing needs to be added or won. The Buddha nature and the own mind are identical, so there is nothing missing, nothing new needs to be created, nothing old needs to be rejected or taken away. For example, even though gold may be covered with stains, it always remains pure. The Buddha nature can also be compared with water. Being polluted, the clarity of water is hazy, while the water itself remains pure. In the same vein, the Buddha nature is momentarily obscured and therefore not manifest because of the kleshas and all they entail, but it always remains immaculate, precious, and real. Rangjung Dorje, the Third Gyalwa Karmapa, described the powerful qualities of the dharmakaya, the “truth body.” They are the attainment of wisdom through the ten strengths, four types of fearlessness, and eighteen distinct qualities of a Buddha only. There are two kinds of wisdom: the wisdom that knows things as they are and the wisdom that knows the way things appear. The first, the wisdom that knows things as they are, is realization of one’s own true nature. The second, the wisdom that knows the variety of manifestations, is realization of how the relative sphere and all it entails arises, stays a while, and passes again. A student can develop pride, boasting of having achieved great wisdom if he or she has won an intellectual understanding of these truths. But that would be very bad, since love and compassion simultaneously exist and increase through the development of wisdom, not through the presence and of pride and arrogance. A Buddha would never think, “Oh, I am special because I am so wise.” On the contrary, a Buddha’s wisdom embraces the plenitude of love and compassion and both are held by the strength of harmony and joy. Wisdom yields beneficial methods to perform acts of kindness and love, and that is the reason why the rupakayas arise from the dharmakaya. The rupakayas are an embodiment of abilities to help others unfailingly. The two rupakayas, “form bodies,” have thirty-two qualities, wonderful qualities of being that unfold through maturation and ripeness. Rangjung Dorje explained the qualities of the rupakayas in the next verse. The thirty-two major and (eighty) secondary signs. Those qualities that are attained are one’s own body. The body is not created by self, Phywa, Shiva, Brahma, external real particles, or by elements beyond experience. When the impure development as the five senses, when the (duality) of perceiver and perceived is purified, the name “attainment” is given. Therefore, the purified nadis, vayus and bindus are the pure form kayas. The unpurified are the impure form kayas. What are the two form bodies that a Buddha manifests in order to always be responsive to calls of sorrow and want? The sambhobakaya and nirmanakaya appear in order to attend to the varying modes of being. The Sanskrit term sambhogakaya was translated into Tibetan as longs-sbyod-rzogs-pa’i-sku, which means “the body of complete enjoyment.” It is an immaterial form of Buddhas. Sambhoga is from sam, “complete or perfect,” and bhoga is “enjoyment of pleasure.” Enjoyment is naturally linked with the realization of the precious Dharma; harmony is unfailing skill, tested and tried, while sharing the profound teachings that Lord Buddha imparted with compassion and love more than 2500 years ago. A sambhogakaya teacher can reach out to a sambhogakaya pupil, those students who are willing to let go to openness and are delighted to receive the teachings on a deeper and very sincere level. Both teacher and pupil experience complete and perfect harmony and joy. the sambhogakaya being the specific location of the teachings. A nirmanakaya teacher has pupils who are much more into daily concerns and who can have aptitudes less sublime than those participating in a sambhoga form. There are nirmanakaya pupils who can be referred to as either “pure” or “impure,” i.e., some accept and acknowledge any help they receive while others do not. Some pupils practice the teachings and others do not. Some pupils understand the teachings very well and others do not. We see that there is a great variety of pupils with individual propensities, wants, and needs, each worthy of help and advice. Therefore, the Buddha presented teachings in a great variety of ways, divided into what are called “provisional teachings” and “definitive teachings.” The Buddha presented the provisional teachings to those pupils who had little faith and confidence in his nirmanakaya form and the truth he conveyed. The provisional teachings deal with experiences encountered in everyday life and do not address the ultimate truth. The activity of a nirmanakaya is said to be much more expansive than that of a sambhogakaya, because it touches the many who are more wrecked in themselves and society and consequently are less sensitive than those ready to make friends with themselves and the external world through the teachings that sambhogakaya emanations impart. A nirmanakaya’s teachings aren’t as subtle as those of a sambhogakaya. Ranjung Dorje elaborated the thirty-two unsurpassable qualities of the dharmakaya, which are qualities of liberation. The thirty-two qualities of the rupakayas are qualities of maturation brought to earth and are therefore referred to as the “thirty-two signs” or “physical characteristics.” There are eighty secondary physical signs of maturation. The thirty-two main signs of the form kayas are called “qualities of maturation” because they unfold plentifully through practice on the path. Signs such as the ushnisha (the protuberance on the crown of the head), the image of a wheel on the palms of the hands and on the soles of the feet, to name a few, and more wondrous signs adorn the nirmanakaya emanation. Those qualities that are attained are one’s own body. The body is not created by self, Phywa, Shiva, Brahma, external real particles, or by elements beyond experience. Phywa is the principal deity in the earliest tradition in Tibet. Shiva is called Ishvara in the shastra (Tibetan dbyang-phyug), which is one of Shiva’s most commonly used names. The name Shiva, which would be just shi-wa, “peace,” is found in the term rtag-zhi, “permanent peace,” in Tibetan. This is in fact a translation of Sadashiva, the name of Shiva in the Siddhanta Tradition of Shivite Tantra. The Tibetan term for “beyond experience” in the above verse is phag-na-mo in the root text and is synonymous with the more prevalent term lkog-na-mo, meaning either “hidden” or “distant.” It is a term from the Hinayana Sautantrika School, who did not believe in the existence of atoms as an ultimate truth but in external, invisible sources for perceptions. iv. How do the form kayas appear? For example, the qualities of an encrusted beryl are not evident. purified, it becomes the jewel that fulfils all needs and desires. The Third Karmapa presented the example of a beryl gem that is hidden under the ground and covered by layers and layers of mud and dirt to exemplify why the Buddha nature is not seen. One needs to dig deeply to unearth it and then one must first remove the coarse layer that encrusts the rare gem by washing it with salt water and by scrubbing it with a very rough cloth. The text reads, “yak-hair cloth,” which is an adaptation of an Indian simile. Once the coarse layer of dirt has been removed, one needs to wash it in vinegar and rub it gently with a felt cloth. Finally, one needs to wash it in clean water and polish it with soft cotton so that it reveals its true brilliance. The precious gem can only be completely clean and sparkle visibly after having undergone the entire cleansing process. In the same way, for the purpose of clearing away the three incrustations of kleshas, knowledge, and meditation from the aquamarine of the mind, there is their total cessation through the paths of accumulation and juncture, the seven impure bhumis and the three pure bhumis. Through example, Rangjung Dorje demonstrated what it is like to be an ordinary being working towards achieving values of unfailing worth, which is Buddhahood. He chose the beryl to exemplify the true nature of the mind, the marvellous Buddha nature, which is obscured by the three incidental stains that conceal it. There is some controversy on the meaning of the word “beryl.” In its Tibetan use, it clearly refers to beryl, as evidenced by Tibetan medical texts. When not qualified by another colour, the beryl is assumed to be blue. A blue-green beryl is known in English as an aquamarine, while the green form is an emerald, which has its own distinct Sanskrit and Tibetan name. Lapis lazuli, the alternative identification of vaidurya, is clearly mu-men in Tibetan. Other kinds of beryl, such as the yellow or colourless white, are specified in Tibetan, for instance in the text, “The Garland of White Beryls.” The translation “white lapis-lazuli” would obviously be wrong. Sanskrit dictionaries are not conclusive, sometimes giving “lapis” or “cats-eye” as the meaning. Vaidurya means “that from far away” and was probably, like so many other Sanskrit words, used for different things. Therefore, in some Sanskrit texts it could possibly mean lapis lazuli, though this appears to be unlikely in the context of the Medicine Buddha, “The King of Vaidurya-Light,” as it is beryl which is translucent and can emit coloured light. The three obscurations are obscurations of the kleshas, obscurations of knowledge, and obscurations arising during meditation. Those of the kleshas are due to the presence of ignorance, attachment, and aversion. That of knowledge is due to delusion, i.e., believing things that do not exist are existent and believing that things that exist are non-existent. Those of meditation occur when one clings to meditative experiences that do arise. While the kleshas themselves form the encrustation or obscuration, the latter two subtle obscurations point to what is obscured. The coarsest obscurations are those brought on by the kleshas. The more subtle obscurations are those caused by illusion, and the subtlest obscurations are those that arise from clinging to experiences that arise during the practice of meditation. Rangjung Dorje tells us that just as three procedures need to be carried out in order to cleanse a beryl gem from the dirt that encrusts it after having been unearthed, likewise, the Buddha nature needs three cleansing processes so that it sparkles visibly and shines purely and radiantly. The three obscurations are cleansed by engaging in the practices of the paths and while achieving the seven impure and reaching the last three pure Bodhisattva levels of realization, the bhumis. The evident and coarse kleshas are overcome while on the first two paths of accumulation and application; they are finally eliminated when the first seven Bodhisattva bhumis have been attained. Latencies of mind poisons still persist in the mind of a practitioner on the seventh bhumi of realization. The subtlest latencies are eliminated on the final stages of practice, when the last three bhumis have been fully realized. Bhumi is the Sanskrit term for “stages or levels of enlightenment,” from the first level of a Bodhisattva to that of Buddhahood. The first seven of the eight Bodhisattva levels are termed “impure” and the latter three are called “pure.” The Sanskrit word bhumi and the Tibetan sa literally and commonly mean “earth, soil,” or “ground.” The Sanskrit can also have the meanings of “district, place, situation, site, the floor of a house” and thus also a degree or stage of spiritual practices. When incorrect conceptualisation encounters correct conceptualisation, just as both (kindling-)sticks are burned by the fire, there is freedom from (both) conceptualisations. There is the freedom from the concepts of elimination, remedies, suchness, and the idea of a result. There are two types of conceptualisations: incorrect thinking as such as well as the thought of suchness. Incorrect conceptualisations arise while in a state of delusion. How is incorrect thinking overcome? The remedy against incorrect conceptualisations is resorting to correct conceptualisations, again and again. Rangjung Dorje presented the example of igniting a fire by rubbing two sticks against each other. Eventually, the fire that was lit by rubbing the sticks burns both sticks, too. In the same way, correct and incorrect thoughts and ideas, that are illusions, are burnt in the fire, too, i.e., when there is freedom from concepts of elimination then there is freedom from what brought on the elimination, namely the remedy. Suchness refers to the true nature of the mind. Freedom from concepts about suchness means not even having the thought that the nature of the mind could be this way or that. There is freedom from even pondering a result. At that time the flowers of the physical signs blossom in the one who has the body of space. (The phases) of beings, Bodhisattvas, and the Tathagatas. Though this is what is said, Buddhahood is not newly created. As it was before, it is the same after. It is the changeless Buddha nature. The “change” is becoming free of the stains. We learned that the immaculate and true essence of each and everyone, which is the Buddha nature, is changeless, but due to the effort while toiling to unearth and reveal its qualities it seems as though it has been newly attained, which is not the case. At the time of the result, the flowers, i.e., the physical signs of the qualities of Buddhahood, blossom in the body of space, which is like the sky. This means that when the true nature has been realized, when the Buddha nature has manifested, then there is freedom from all ideas and thoughts about it. The flowers that manifest - in “the body of space” - are the thirty-two principal and eighty secondary signs of enlightenment. The Buddha nature abides in three phases of existence: during the impure phase, during the pure phase, in which case some impurities have been eliminated, and in the state of complete purification. The first state is that of ordinary beings. The second is the state of Bodhisattvas, and the third is that of a Buddha, a Tathagata. The scriptures describe these three phases of being in relation to the thirty-two qualities of the unsurpassable dharmakaya and the thirty-two qualities of the wonderful rupakayas. These sixty-four qualities are not newly acquired or ever foreign to the true nature abiding deep within every single being. They exist at Buddhahood - just as they did in the past and present - since the Buddha nature is ever-present. One aspect of the changeless nature is called “natural purity,” the other is called “freedom from incidental stains.” During the ordinary and impure states, the Buddha nature is present and unaffected by any stains, since it is by nature pure. When it is cleansed of what concealed it, then the marvellous Buddha nature is free of anything that obscured it. The only difference between the two aspects in time is when the true nature was obscured and when not. The Third Karmapa, Rangjung Dorje, continued with the next section and dealt with refuting and proving incorrect and correct views, respectively. There is a deeper meaning to refuting and proving views than just finding faults with others. For instance, some treatises on the Buddha nature may have grammatical or interpretative errors, and those faults need to be corrected. Mistakes may be small, they may be big, but they may not be, which is the reason why refutations and proof is carried out, to avoid reiterating errors that do have misleading consequences. Scholars always engage in a dialectical discourse in order to spot such flaws so that pupils learn to be critical and to recognize them, too. The great scholars and Siddhas of the past went through the tremendous task and did not shy away from any hardships to correctly preserve the teachings Lord Buddha imparted. They felt extremely obliged to explain the meaning of the Buddha’s teachings correctly by meticulously composing treatises. If an error in a treatise slipped in, it was not considered mischievous or insulting to engage in critical rounds of refutations and proof; on the contrary, it encouraged authors to be more demanding of themselves so that mistakes would not occur. Rangjung Dorje took the pain upon himself to write the next verse that presented arguments others may erroneously have. If someone has the negative view that the Buddha qualities have no cause or conceive them not to be within oneself, but created by external causes and conditions,what difference is there between that and the eternalist and nihilist views of non-Buddhists? There are people who deny the existence of the precious Buddha nature and even claim that there is no cause for values of being. In the sections on the unsurpassable qualities of the dharmakaya and the wonderful rupakayas, Rangjung Dorje described the thirty-two qualities of purification and the thirty-two qualities of maturation that appear when the obscurations have been eliminated and the true nature has been set free. He taught that the immaculate qualities of a Buddha manifest at the time of attainment and are not apparent as long as stains cover and conceal them. Those who have a wrong view believe that there is no cause for the elimination of defilements everyone has. Some people mistakenly believe that there is no cause for the appearance of qualities abiding within everyone, and others claim that they are due to external causes and conditions when they do appear. Rangjung Dorje argued that such ideas are not different than those held by non-Buddhists, by Hindus, and others, who believe that Shiva or a god created everything. In accordance with the teachings of Lord Buddha, the Third Gyalwa Karmapa composed the next verse in the treatise and spoke about the presence of wisdom. If (the “mental events” of the Buddhas) were not like that, the activity of the form kayas would cease. Earlier, purity and impurity were described as the presence or absence of pure and impure conceptualisations that distinguish an awakened mind from ordinary involvement in life. Rangjung Dorje explained the wisdoms that prevail when impurity has been thoroughly eliminated and when the radiance of the true nature clearly shines forth. The types of wisdom that adorn a Buddha are discriminating wisdom, wisdom that accomplishes actions, wisdom of equality, and lasting wisdom. The nature of discriminating wisdom is the primal ability to spontaneously and uninterruptedly see the delusions, sorrows, and wants that burden every individual, each in his and her own way. Any differences between the great variety of sentient beings and among people are not intellectually inferred by a Buddha, rather are directly perceived with his visionary wisdom, i.e., he sees distinctions and differences with his eye of discriminating wisdom. In the section on the unsurpassable qualities of the dharmakaya, we saw that the Buddha nature embraces strength, courage, and wisdom that is naturally saturated with limitless love and compassion. Discriminating wisdom is awareness of the vast array of situations and conditions that living beings encounter and endure while in two of the three states of existence, the impure and the partly pure. Discriminating wisdom is seeing and realizing what each living being really needs in order to become free from a disorderly life in samsaric confusion and what they really need in order to find happiness and to keep it. Discriminating wisdom is a dynamic energy and activity that also manifests within the scope of causality, which is marked by creation and cessation, i.e., discriminating wisdom arises, abides, and ceases again. A Buddha appears in the world defined by those who suffer under the perplexities of renewal, regeneration, dissolution, and death and who need the steady flow of wisdom that evokes and rouses their best efforts to worthy themselves and make a difference in their own lives and in those of others. A Buddha manifests to heedfully care for those abiding in impure states and who are receptive for an immaculate refuge and reliable guide possessing discriminating wisdom that can unmistakably help. A Buddha’s discriminating wisdom only arises, stays a while, and ceases again because everything appears to do so for all those perceiving the world conditionally, i.e., relatively. If a Buddha’s wisdom did not reveal itself to someone purged in conditioned success and failure, then his wisdom could not permeate those who suffer under the impact that every appearance and experience arises, abides, and ceases again. The sambhogakaya and nirmanakaya of a wondrous Buddha manifest for the sole purpose of benefiting those not deaf to hope and does not arise outside causality. However, the appearance of a Buddha’s omniscience is not due to what is known as “mental events,” rather it is based upon discriminating wisdom, which renders wisdom that accomplishes actions. The nature of the material elements i s (either) accompanied by clinging (or) their powerful essence is manifested. There is no difference whatsoever in appearances to the deluded and the undeluded. The (only) difference is the presence or absence of clinging to dualism. If that was not so, how could the Buddhas apply their activity? Generally speaking, there are the five sense organs and the five objects that appear to the sensory faculties; they were described in the section on how samsara arises. The five sensory organs of a Buddha are unlike those of man; rather, they are the innate power that displays the wisdom that accomplishes actions. The objects perceived by a Buddha are the same as those perceived by ordinary beings, i.e., both a Buddha and ordinary beings see earth, water, fire, and forms, for example, just as they appear. The difference is that a Buddha’s perception is endowed with distinct power. There is the well-known experience of a magician conjuring up a band of tigers, elephants, and horses. He welcomes the audience and includes them in his game, aware of his tricks all along. We have all witnessed how an audience reacts. A Buddha, though, is not overwhelmed by the show but watches without flinching for even a split second. What is the difference between a Buddha’s pure visionary force and that of ordinary beings? A Buddha does not cling to duality. What does this mean? Usually, there is apprehension of both an apprehender and appearances that can be and are perceived, i.e., a subject and objects, which are normally grasped alternatively and impulsively as variations of acceptance and refusal, appearance and reality, introduction and ending. A Buddha does not cling to an apprehender perceiving appearances or experiences. A Buddha perceives and recognizes the same appearances ordinary beings do, otherwise he could not engage in beneficent activities, but he does not cling. Should a Buddha not see the same things as others, then how could he extend the warmth of kindness and love in word and deed? A Buddha perceives everything with wisdom that is free of illusion and delusion; otherwise he would not be able to provide refuge and offer guidance. to represent the manifestation of non-conceptual power. without conceptualisations of any kind. The example he chose is a wish-fulfilling jewel that has the power to non-conceptually fulfil wishes anyone merely thinks. It is not other than the Buddha. However, this does not exist within the beings of others. If that were so, it would be the wisdom of other beings. And if that were so, then wisdom would be delusion. Some people erroneously think that a Buddha’s activities do not come from the Buddha but arise solely from their personal doings or own good luck. This is not the case, because if the beneficial activities did not originate from Buddha, then it would imply that the wisdom accomplishing actions is created by ordinary beings. It would also imply that a Buddha’s rupakayas, the pure realms, etc. manifest through the perception of beings and would therefore come about due to their own likings. Such notions are delusive, because beings are in a state of perplexity and confusion. This is another reason why Buddhas manifest wisdom accomplishing actions, which is not something that arises out of other beings. Wholesome activities are a Buddhas’ beneficent deeds. It is not attached to appearances. then a mirror that has appearances within it would (also) have thoughts of attachment. One may wonder how a Buddha perceives appearances. Doesn’t he or she cling to perceptions just as ordinary beings do? The example presented to show that a Buddha perceives appearances just as they are but does not cling and is not attached to them is that of a mirror. Just as a mirror is not attached or does not cling to an image reflected on its surface, a Buddha does not cling to perceptions reflected on his or her mind. We need to know that appearances and attachment are two different themes. A Buddha experiences appearances because they arise, but he is free of attachment to them. It is due to the absence of attachment to appearances that a Buddha is free of bewilderment and consequently his or her activity is wise. Stains do not affect it. All the delusions that beings have appear to (a Buddha’s) wisdom. The wisdom is however unstained by the delusions. space is unstained, is without any origin or cessation. A Buddha possesses the wisdom that knows the inconceivable variety of things that appear and the wisdom that sees and realizes delusions that living beings generate and perpetuate as karmic creations, again and again. A Buddha possesses the wisdom that sees and realizes delusions, which does not mean to say that he could ever be deluded. Rangjung Dorje presented the example of space. Earth, water, fire, and air arise in space and disintegrate again. The many things taking place occur amid centerless space, but the sky itself is not affected or touched by anything that arises, abides, and ceases amidst its celestial realm. Likewise, there is the wisdom of the Buddhas that knows and sees whatever happens, while he and she remain calm and conscientious. It is not born from delusions. In that same way, though the wisdom of the Buddhas enters beings, it is not stained. The wisdom of a Buddha sees living beings and engages in beneficial activities to help them. Wisdom that accomplishes actions is not created, is not a product of delusion, and never ends. Due to having love and great compassion (for beings) the sambhoga(kaya), etc., appears to them. When the mental consciousness, that aspect of the mind called “the afflicted consciousness” or “klesha mind,” has been transformed, then the three obscurations have been eliminated and wisdom of equality shines openly. The three obscurations are the mind poisons, the obscuration of knowledge, and the obscurations arising during meditation. When these stains are vanquished, there is freedom from the delusion that drives living beings to cling to a self and perpetuate anxiety as a result. These words refute the view that there is complete cessation at Buddhahood, which is not the case at all. Buddhahood is not a final resting ground – it is not static indifference or neglect. Rather, it is the utmost reward of the marvellous plenitude that the Buddha nature reveals in the form of the rupakayas that tirelessly reach out in words and acts of love and great compassion, without reservations, to those ready and able to beautify themselves worthily. Wisdom is the three permanences. In the explanation on the three kayas, His Holiness the Third Karmapa explained in which way the ultimate wisdom of glorious Buddhas never changes. The essence of the dharmakaya is permanent. The wisdom of the Buddha nature is changeless, always has been, from the time of an ordinary state of mind until realization of the dharmakaya arose for an individual who worked to worthy himself or herself. And the dharmakaya remains changeless until samsara is fully exhausted of sorrow and want. Permanence is usually a topic of refutation in Buddhist treatises and texts, so one may wonder whether speaking about permanence of the dharmakaya in a Mahayana text isn’t a contradiction. But, the dharmakaya is not a thing; it is not fragmented. Its nature is dharmadhatu that transcends all conceptualisations of being existent, non-existent, both, and neither. Thus its nature is permanent, whereas the nature of the form kayas is not. Does this mean that the form kayas are impermanent and without an essence? No. They have qualities of permanence too. The sambhogakaya is characterized by the permanence of continuity. It manifests in a pure realm and in connection with the impermanence of each instant in time, i.e., it is only due to the passing of a moment that the next moment can arise – duration that unremittingly arises and ceases over and again. The sambhogakaya emanation will never stop; the continuous realm of the sambhogakaya will never end. (1) The definite place is the pure realm in which the sambhogakaya teaches. The pure realm seems to be impermanent but its essence is permanent. (2) The definite pupils are Bodhisattvas on high levels of attainment. Only such beings can be pupils of a sambhogakaya emanation. (3) The definite teachings are the final teachings of the Buddhadharma, not the provisional. The sambhogakaya manifestation only imparts Mahayana teachings. (4) The definite teacher is the master who does not pass away or is subject to death, as is the case for a nirmanakaya incarnation. (5) The definite time of the sambhogakaya does not vary like that of ordinary beings, i.e., there is never a time when it does not teach. And the definite time is not subject to a schedule. The Wheel of Dharma is turned, softly and gently, continuously. The nirmanakaya is characterized by the permanence of uninterruptedness. It does not have the permanent aspect of the dharmakaya or the permanent continuity of the sambhogakaya. The nirmanakaya appearance of Buddha Shakyamuni, for example, was born in Lumbini approximately 2,500 years ago and passed away in Kushinagara, so impermanence and discontinuity are a characteristic of the nirmanakaya. But a nirmanakaya has the permanence of succession since its activities never come to an end. There are one thousand Buddhas in the present aeon. The activities of the Buddhas continue until samsara, which is endless, is exhausted. Three kinds of nirmanakaya are: The born nirmanakaya manifests as a human being. The created nirmanakaya is a being that appears immediately and spontaneously. The variegated nirmanakaya manifests in the form of animals and so on. That is how the nirmanakaya possesses the permanence of uninterrupted activities. The nirmanakaya has two qualities: it is spontaneous and it is uninterrupted. Spontaneous activity means that a Buddha never grows weary or exerts effort to teach and help others. As it is, some people receive the teachings and practice them for their personal relief. Others may think that they can benefit all beings and practice for this reason. There are other pupils who wish to share the teachings, while others think the teachings are not important and discard them heedlessly. However, the supreme nirmanakaya continuously teaches without hesitation, without reservations. The uninterrupted and spontaneous activities and teachings of the nirmanakaya never end or stop. Mentally fabricated emptiness is impermanent. The mind of moving thoughts is impermanent. The composite six consciousnesses are impermanent. Mentally fabricated emptiness is not the emptiness that is the true nature of all things, the true nature of phenomena, rather mentally fabricated emptiness is an idea about emptiness that is created by the mind, so the thought of emptiness is impermanent. Restless thoughts, even beneficent aspirations, are instable and therefore delusive - they are impermanent. The six consciousnesses are impermanent, too, because they are composed of parts and therefore consist of fragments that arise, abide, and pass again. However, the three permanences are present. The three impermanences are stains. The three permanences are wisdom. In this verse, Rangjung Dorje stated that there are the three permanences, but that they are obscured by the three impermanences. The three impermanences are the obstructions and the three permanences are ultimate wisdom, which is the ground. The three permanences are present deep down within but obscured by the three impermanences. The three impermanences need to be eliminated and the three permanences need to be uncovered so that the Buddha nature is linked in words and deeds that can fully and wholly reach out to every mode of being and move those it touches with love, compassion, and joy. In The Tathagatagarbhashastra, His Holiness the Third Karmapa did justice to six questions pupils may still have had and wrote the following section in order to clarify each doubt. Is the Buddha nature a „self“? because that is a mental fabrication and (Buddha nature) is not. In the previous verses, Rangjung Dorje explained that the Buddha nature is immaculate and possesses invaluable qualities of being. It is always present. Isn’t this the “self” that Tirthikas emulate when speaking about atman? No, there is a big difference between the Buddha nature and atman. While both the atman and Buddha nature are described as permanent and as possessing splendorous qualities of clarity and brilliance, there is a different reference. In Hinduism, the self is defined in dependence upon the five skandhas. Sometimes they concentrate on the aggregate of form and call it “the self,” which is an imputation. The Buddha nature is not composed of multifarious parts that constitute a whole; rather the Buddha nature is the actual nature of things, the dharmadhatu. Although atman and the Buddha nature are respected and revered similarly in most religious traditions, the basis is quite different. The Tibetan term for Tirthika is mu-stegs-pa, which preserves the etymology of “someone who has reached the other shore,” but tends to be interpreted as “one who follows a marginal spiritual path.” The Hybrid Buddhist term is in fact derived from the Jain title tirthangkara, which means “a forder” or “ford-maker,” one who has crossed over to liberation. Buddhists used the corrupted version of this title for all non-Buddhist paths in India, which in later times were primarily Jainism and Hinduism. There is in fact no word for Hinduism in the Buddhist vocabulary as it is a recent British term, which has only gained usage within India itself in the 20 th century. Is realization of the Buddha nature nirvana of the Shravakas and Pratyekabuddhas? This is not the same as the nirvana of the Shravakas and Pratyekabuddhas, because that is a mental fabrication and (Buddha nature) is not. Is realization of the Buddha nature identical with nirvana of the Shravakas and Pratyekabuddhas? No. The Shravakas and Pratyekabuddhas meditate in order to obtain peace and happiness for themselves. When they attain nirvana, they remain absorbed in that state of quietude. When the Buddha nature is realized at Buddhahood, wisdom, love, and great compassion for all living beings emerges. The sambhogakaya and nirmanakaya manifest out of immeasurable compassion and love, in order to engage in beneficent activities for the welfare of others for as long as samsara lasts, which is forever. Therefore, there is an enormous difference between the nirvana of the Shravakas and Pratyekabuddhas and realization of the Buddha nature. Who are the Shravakas and Pratyekabuddhas? The Tibetan term for the Sanskrit word shravaka is nyan-thos. The Sanskrit is from the root word shrav, meaning “to hear.” The word shravaka can therefore mean “audible” or “the act of listening,” but in the Buddhist context it means “a pupil” or “disciple,” in particular Lord Buddha’s personal disciples. In early Buddhism, one of the ways to achieve nirvana was as a Shravaka or disciple of the Buddha, without the long process of accumulating merit in order to become a Buddhist oneself. The second way of achieving nirvana was as a Pratyekabuddhist. The third way, after lifetimes as a Bodhisattva, was as a Buddha. With the rise of Mahayana, which practiced exclusively in order to attain the third of those goals, the first two approaches became the symbol of the lesser attainment of a quiescent, inactive nirvana. The Tibetan term for the Sanskrit word pratyeka is rang-sangs-rgyäs or rang-rgyäl. Pratyeka means „single, individual,” or “personal.” A Pratyekabuddhist was one of the three possible ways of achieving nirvana as seen in early Buddhism. A Pratyekabuddha, like a Buddha, would achieve enlightenment on his own, due to his previous accumulation of merit, though there would not be enough merit for his teaching others. Hence, he was a Buddha who remained alone in the forest and therefore is often termed “solitary Buddha” in English. It is a disputed point in both Indian and Tibetan Buddhism as to whether the Shravakas and Pratyekabuddhists have the same realization as a Buddha. The Svatantrika Tradition in India, the Kagyupa School in Tibet, taught that they do not have the same realization, whereas the Indian Prasangika and the Tibetan Gelugpa School say they do. Nevertheless, for all Mahayana traditions, they are a symbol of a lesser accomplishment, from which there is little benefit for other beings. Is it an ordinary body? because it is not created due to the defilements. The two form kayas manifest from Buddhahood. Aren’t they the same as the bodies of ordinary living beings? No. The body of an ordinary living being is drained by anxiety, false hopes and fears, and experiences pain when things fall apart. Aren’t the form kayas of a Buddha subject to a similar pain of loss? No. Ignorance is the basis of an ordinary life, and it is due to ignorance that there is delusion, the mind poisons, and the accumulation of karma that brings on more dissatisfaction and discontent. Therefore an ordinary being does not ascertain facts and cannot control his or her pulling emotions, i.e., he and she live under the rule of the winds of karma, emotional afflictions, and confusion. This means that an ordinary living being takes on a body made up of flesh, bones, sinews, nerves, etc., that eventually decay; pain, ageing, and death are the result. The Buddhas, on the other hand, see the true nature and have realized the dharmakaya. Having ascertained emptiness, they manifest natural and all-embracing love and compassion. The rupakayas arise through the force of compassion and joy. This is the difference between an ordinary body and the precious form of a Buddha. because it has manifested exactly as it is. We saw that the Buddha nature is not identical with what is usually described as “a self,” that it is not the same as nirvana of the Shravakas and Pratyekabuddhas, and that the rupakayas have a different body than ordinary living beings. Can the state of Buddhahood fall into a state of delusion again? No. There are non-Buddhists who claim that one cannot attain Buddhahood and argue that when gold is melted into fluid or water into steam, both gold and water eventually return to their former state. That is why they insist that one cannot attain Buddhahood without returning to the former state, which - as we saw - is delusive. However, this is not the case, because when one attains Buddhahood, one has gained recognition of all things as they really are and consequently one cannot fall back into illusion and delusion. Siddhas and scholars show through example that the nature of gold is solid and does not become or turn hard. Likewise, the true nature of the mind is not defiled and therefore it isn’t possible for a Buddha to return to incidental stains that never were real anyway. because there is freedom from differentiating conceptualisation. Won’t delusions arise again once the stains have been eliminated? His Holiness the Third Karmapa explicitly answered, no. Delusions cannot resurface when there is all-encompassing knowledge and wisdom. Opponents argue that a long-distance jumper can train to jump further and further but will never be able to jump into infinity. Using this example, they insist that Buddhahood is not omniscience and that it cannot be attained, i.e., wisdom can increase but will never become omniscience. Siddhas refute this point logically and teach that the body and mind are not identical. They disprove the wrong view and state that one can train the body to jump very far, not into infinity, true, yet the mind can become free from delusive hopes and fears. Once delusions and defilements have been dispelled through knowledge and realization of the true nature of all things, what has been eliminated cannot possibly arise again. Can the Buddha nature be realized? Therefore, the mind, this Buddha, is present now, but is not known. Rangjung Dorje encouraged his pupils by writing this verse and reminds us that one can attain Buddhahood, because the Buddha nature, which is permanent and ever-lasting, is present within - it is innately ours and abides in every living being always and already. Yet, multitudes of living beings are not able to see it since incidental stains and defilements obscure and conceal it. Once the stains have been removed, the true nature of the mind manifests freely and clearly, and this is the incomparable state of an Awakened One, of a Marvellous Buddha. His Holiness the Third Karmapa continued with a chapter of quotations that describe realization of the Buddha nature from sutras before closing with veneration and gratitude, dedicating any good that may arise from having written The Tathagatarabhashastra for the well being of everyone. In the Mahamudra Tradition, realization is attained through both the blessings of the Guru and through practice on the side of the pupil. An authentic master bestows his blessings and a dedicated pupil experiences deepest devotion in response – both instances determine manifestation of the true nature of one’s mind, the Buddha within. In the Sutra Tradition, realization is attained by listening, contemplating, and meditating the teachings that Lord Buddha generously shared. When realization of the Buddha nature is fulfilled, then the mind poisons and delusions that concealed it for all too long cease, never to arise again. Rangjung Dorje compared this state of realization with molten metal that has cooled and become stable and firm. He also compared realization with being cured from an illness or disease. In the same way, at the time of Buddhahood there is freedom from delusions and mind poisons, those obstructions that are incidental to the true nature embedded within. Once imperfections have been removed, they no longer exist for a Buddha, and it would be wrong to say that they do. Once the resplendent qualities have unfolded, it would be wrong to say that such extraordinary qualities do not exist. Ultimate goodness exists even while confusion deceives. Once imperfections have been removed, wisdom shines brightly, freely, and openly. The words “exist” and “do not exist” in this verse point to the Tibetan term for “Buddha,” which is Sangyäs. In the section on the homages, Rangjung Dorje showed us that sang means “purified” and gyä means “developed” or ”increased.” The description in this verse, “do not exist,” refers to delusions and mind poisons that have been cleansed and eradicated; they do not exist for a Buddha, who is sang, purified of stains. The description “exist” points to the thirty-two qualities of maturation that have unfolded and therefore a Buddha’s qualities are gyä, vast and radiantly present. “Because in the pristine meaning there is no birth, there is also no liberation there. It has the same qualities as beings. As ‘this side’ and ‘the opposite side’ are birthless, the composites are truly empty. In The Mahayanavimshika, “The Twenty Lines of the Mahayana,” Venerable Nagarjuna tells us that all delusions, stains, and obscurations have no real existence and never did. He taught that if one thinks that there is liberation when the stains have been removed, it would imply that the stains actually exist. Nagarjuna also taught that if one thinks that the incidental stains do not exist, then there is no real liberation either. This is the reason why the Third Karmapa stated that the nature and qualities of Buddhahood and the nature and qualities of ordinary beings are both like space. A Buddha as well as ordinary beings do not have an inherent, real nature, therefore Buddhahood is complete purity and ordinary existence is complete purity, too. “The composites are truly empty. It is quite difficult understanding the profound teachings that both samsara and nirvana have no real existence. This can only be known through insight that ultimate and supreme wisdom yields. “It is subtle, so it is not the object of learning. It is ultimate, so it is not the object of contemplation. There are two kinds of wisdom that arise from meditation, the wisdom of direct recognition, which sees the true nature of the mind, and the wisdom of worldly meditation, which is a peaceful mind that arises through the practice of shamata and vipassana meditation. As it is, we meditate according to the instructions we receive and in reliance upon the contemplative practices we have been able to master. Such practice is focused on the relative truth of phenomena. The dharmata, “the true nature of phenomena,” is beyond relative contemplation and experience. arises through trust in self-origination. In the quotations from The Sutralamkara, from The Mahayanavimshika by Noble Nagarjuna, and from The Uttaratantrashastra by Natha Maitreya we read that the Buddha nature cannot be realized through hearing, contemplating, and casually meditating the instructions, that it cannot be realized through conceptualisations. How can it be realized, then? The Glorious Third Karmapa summarized the quotations from the sutras and tantras and wrote that the true nature can only be realized through “wisdom that knows itself,” i.e., through self-knowing wisdom. We understand that there is the true nature of the mind and that it is unveiled and realized when the mind sees itself through self-knowing wisdom. Experience of the ultimate arises “through trust in self-origination,” which means through trust and conviction in Lord Buddha’s profound teachings. One gains realization through the correct view and from receiving precious and rare blessings. In the Kagyu Tradition, it is said that one needs to have wisdom that is won through understanding and through contemplating and analysing the Buddhadharma in order to have the correct view. Furthermore, it is said that one needs to receive the blessings of the Lineage in order to have wisdom that arises through meditating the Buddhadharma. In the daily recitation of The Dorje Chang Prayer, we recite, “Devotion is the head of meditation.” This means that without devotion, one cannot do anything, neither eat, talk, walk, or sleep. In the same vein, if a disciple has devotion, he or she will be able to meditate properly and will gain the rewarding result. Pupils and disciples will gain certainty and definitive wisdom of the teachings, finally self-knowing wisdom – rangjung yeshe - with devotion and practice that ensues from loving and compassionate sincerity to beautify themselves and society at large. Oh! Because they do not understand this, the children wander in the ocean of samsara. this was written by Rangjung Dorje. May all beings have unmistaken knowledge and full attainment of the Buddha nature! This completes the definite presentation of the Buddha nature, which is the essence of the Vajrayana. The teachings that His Holiness the Third Karmapa gave us are so very important. It is an extreme honour to understand them correctly and unmistakably. Noble Rangjung Dorje revealed the fruit of the true within and prayed that his disciples and pupils would understand and cherish these teachings in perfect truthfulness. Is it sufficient to simply and directly recognize the true nature? Yes, it is good to directly know the true nature of everything through the practice of meditation. Yet, one needs to bring the fruit of knowledge to its ultimate objective, which is Buddhahood. This is the reason Rangjung Dorje prayed that “all beings have unmistaken and full attainment of the Buddha nature,” which is ultimate Buddhahood. The teachings we have received are the essence of all teachings, the final and definitive instructions from sutras and tantras. They are “the essence of the Vajrayana” and contain the wealth of all three Dharmachakras. At the First Turning of the Wheel of Dharma, Lord Buddha presented provisional teachings practiced in Hinayana. At the Second Turning of the Wheel of Dharma, Lord Buddha imparted teachings on emptiness. And at the Third Turning of the Wheel of Dharma, Lord Buddha bestowed teachings on the Tathagatagarbha, the supreme continuum, the Buddha nature. May all beings have unmistaken knowledge and full attainment of the Buddha nature ! May the life of the Glorious Lama remain steadfast and firm. May peace and happiness fully arise for beings as limitless (in number) as space (is vast in its extent). swiftly establish the levels and grounds of Buddhahood.